The city of Warsaw rose from the ground, just by the Vistula river. Its beginnings predate the 11th century. For years, it had been steadily gaining importance to finally become the capital city of Poland in 1596. During the second world war, it was brought to its knees and turned into ashes. Since the spirit of the city was stronger than bullets and bombs, Warsaw managed to survive and eventually thrive. In a nutshell, Warsaw is a survivor-city. What to see in Warsaw? 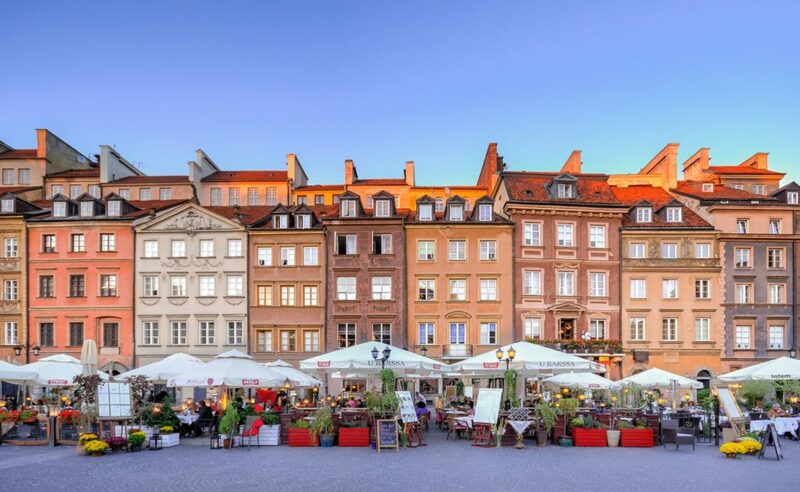 Located in the center, Warsaw’s Old Town is the heart of old Warsaw and witness to many important events in Polish history. It is the oldest preserved part of the city and an extremely popular touristic landmark. 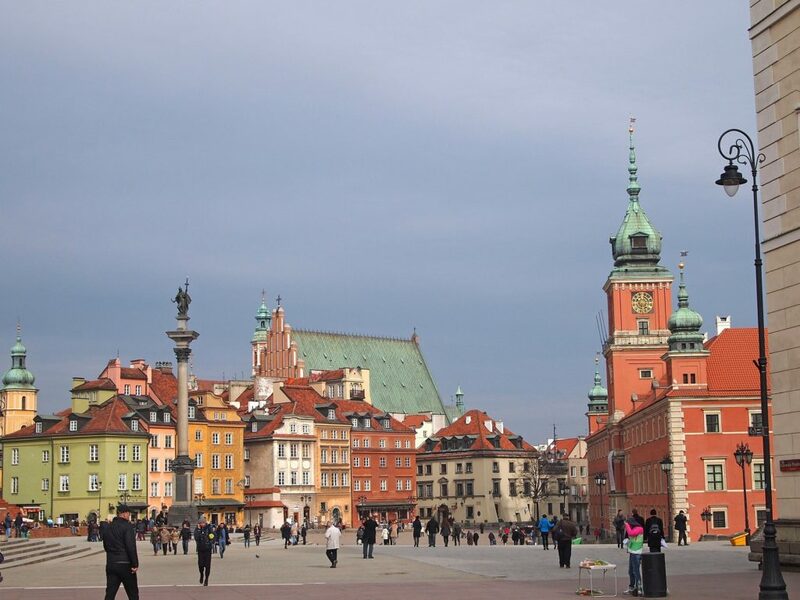 The Royal Palace Square, with the famous Sigismund’s Column, was built in memory of the king, who moved the Polish capital city from Kraków to Warsaw. Next, to the column, there’s the Royal Castle – rebuilt and renovated. Since the war left most of Warsaw in ruin, many buildings are simply reconstructions. The Old Town’s Marketplace is filled with numerous shops, cafés, and restaurants and it vibrates with life. 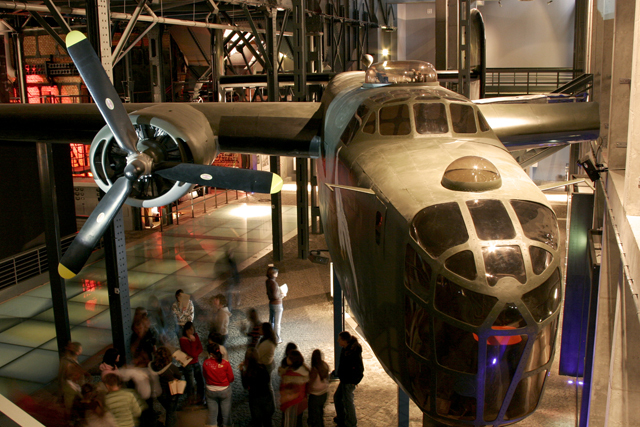 It is definitely lovely – a must-see in Warsaw. I’m taking you on a tour around The Old Town in the video below, so just click play and let’s go! 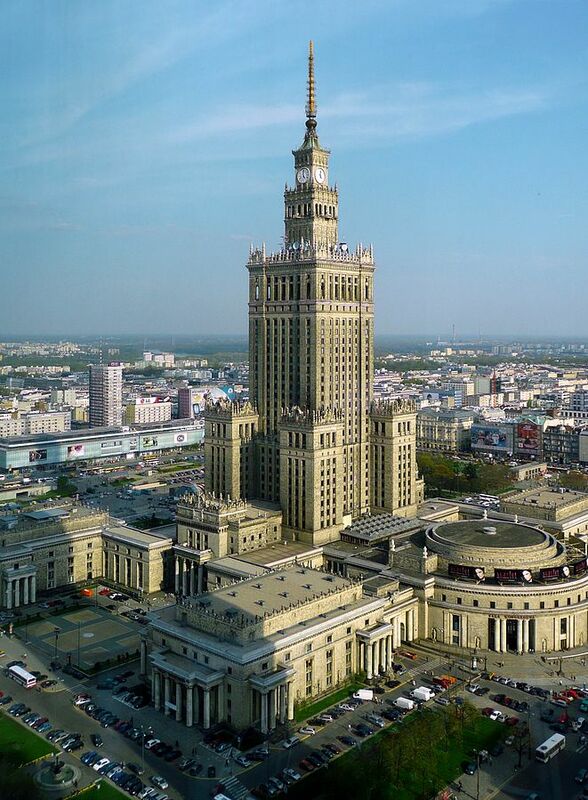 The Palace of Culture and Science is located in the center of the city, and it is a remarkable landmark in Warsaw. Communists built it, so its presence remains the subject of heated discussion. It is, nevertheless, home to many cultural institutions and has blended into Varsovian landscape. Love it or hate it, it is still a must-see. Since more than 70 percent of Warsaw was destroyed during the war, it left a lasting stamp on the Varsovian consciousness. The city was burnt to the ground in punishment for revolting against Nazi occupation. The uprising began on 1st August 1944 and finished on 3rd October 1944. It played a huge role in the history of the city and the interactive character of the museum allows us to understand their motivations, problems, and desires. It is a great lesson in Polish history and truly brings the past to life. 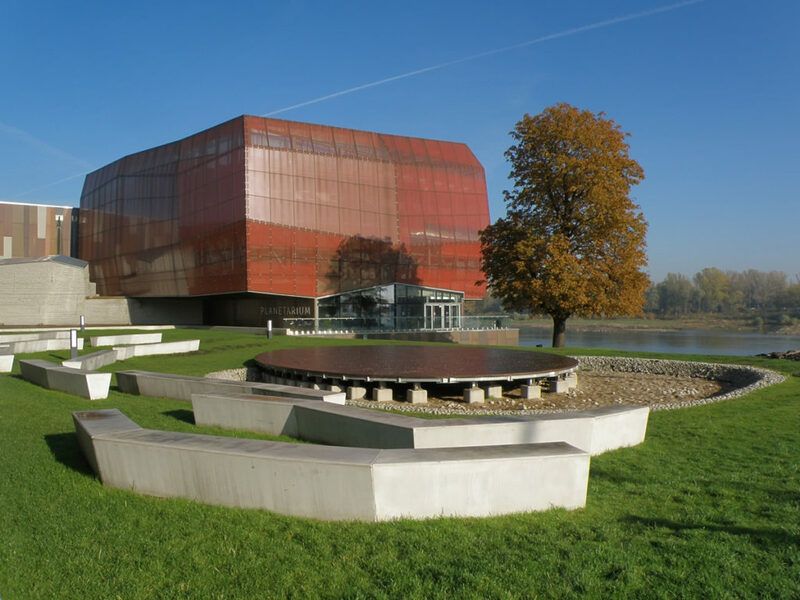 Many people claim it is one of the best museums in Poland. 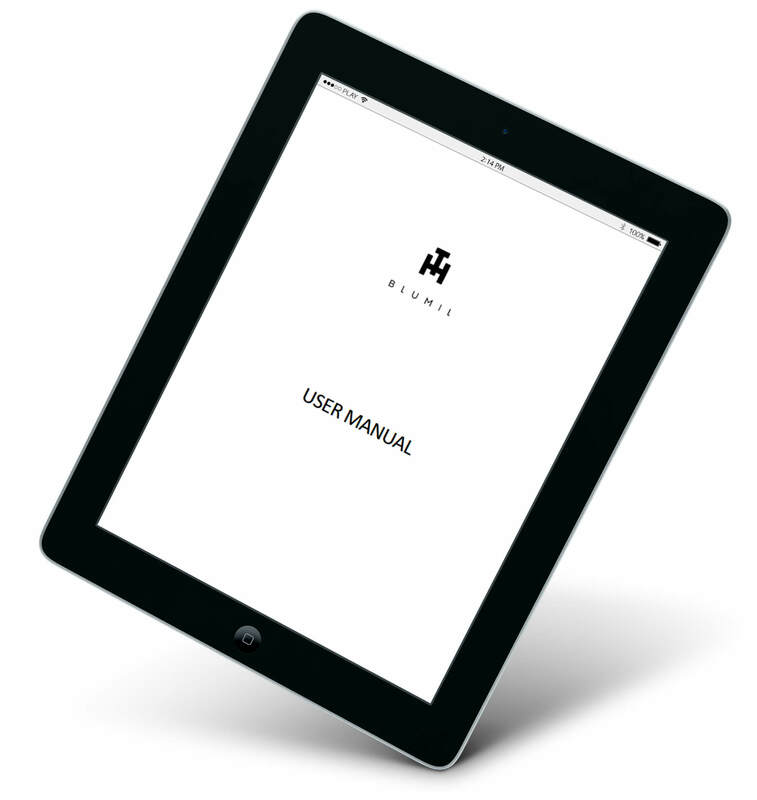 It is fairly accessible, but it is definitely easier to access it in an electric wheelchair, rather than a manual one. Surrounded by the picturesque watery scenery, The Royal Castle was the place, where the last king of Poland used to hold dinners every Thursday. Many artists would attend them, and it provoked artistic growth in the times when Polànd was growing weaker and more divided. The castle’s architectural style is classicism and the surrounding park takes the title of the largest park in Warsaw. It was the king’s summer palace, and thankfully it was never destroyed during the war. 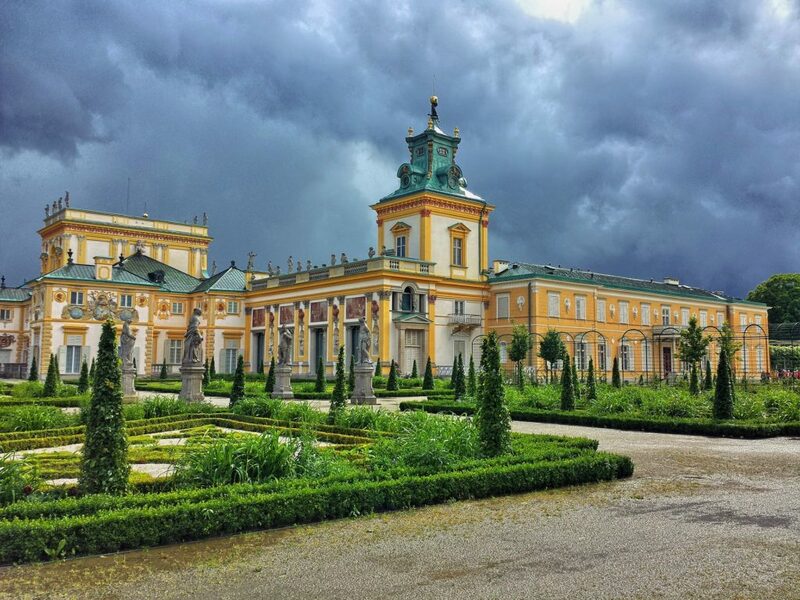 It is famous for peacocks, which greet the visitors and make a living symbol of the Łazienki Royal Castle. Visit Łazienki Castle, when it’s warm and nice and they’ll probably greet you, too! 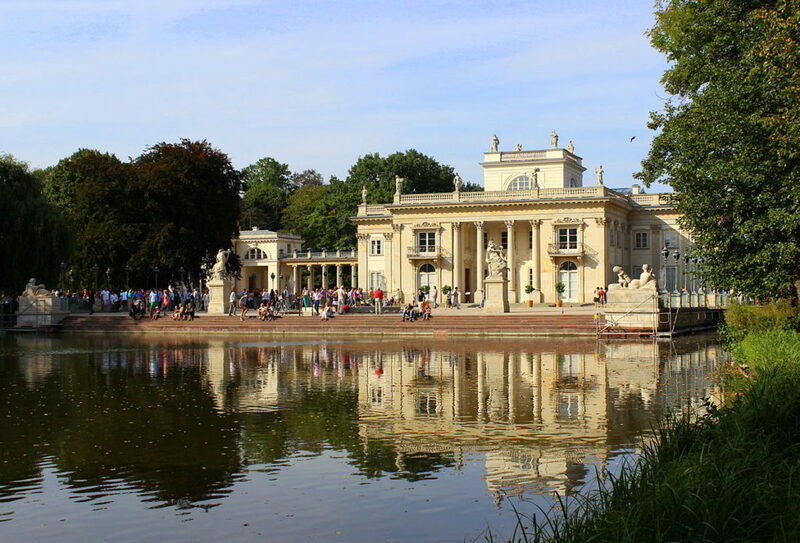 Below you can see Łazienki through my eyes in this short video guide. This baroque palace was built for the Polish king John III Sobieski in the late 17th century and it represents various building styles and influences. It is probably one of the nicest places in Warsaw, especially in spring and summer when its gardens come to life with thousands of flowers. During the winter, however, you can admire luminous installations all over the complex, making it suitable for a visit all year round. The place is extremely lovely, so definitely give it a shot! The only thing to remember is that it’s far away from the center, and you need to be prepared to spend some time getting there. Throughout good and bad times, Poles and Jews have lived together, side by side. 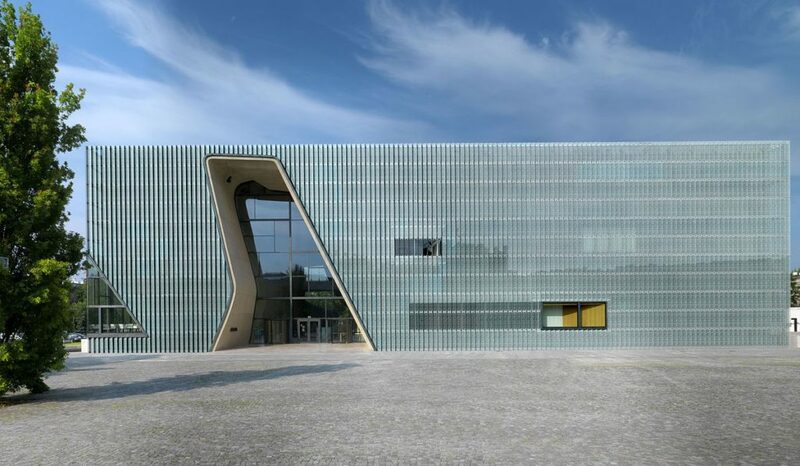 This museum focuses on the history of Polish Jews, the good and the bad, and brings hundreds of years into great, interactive exhibitions. After all, it showcases the complexity of history and highlights that there are things that unite us, not only things, that divide us. Even though history’s an important theme in Varsovian history, let’s give it a try and move on to… science! After all, Copernicus was from Poland, and science is the force to be reckoned with. In the Copernicus Science Centre, targeted at children and teens but suitable for anybody interested, science is both fun and accessible. Different scientific notions are explained in an interesting and digestible way, and it’s difficult to be bored when everything around you is interactive and interesting! Definitely, a place to remember, especially if you travel with children! In general, accessibility in Warsaw is far from amazing. The city isn’t perfectly wheelchair friendly, especially that there are many uneven pavements or inaccessible bus or tram stations. Since the situation’s slowly getting better, Warsaw might be on its way to becoming an accessible capital city. Each year, more trams and buses become accessible to manual and electric wheelchair users. All in all, manual wheelchairs might not be suitable for navigating the city, but an electric wheelchair (Blumil City, for example) should win against the semi wheelchair friendly Varsovian reality. All in all, Warsaw is the city, where modernity and old times go hand in hand, live next to each other, and come into a unique fusion. It is the city, which cherishes tomorrow, but holds into yesterday. Among skyscrapers and old castles, everybody will find something to enjoy. After all, Warsaw never ceases to reinvent itself, and everything it offers. To read more travel stories follow Blumil on Facebook and Instagram! Don’t forget to check the latest Blumil electric wheelchair model – Blumil City. Why? Well, Blumil City is pavement-friendly, fast and pretty! * By clicking "Download!" you agree to that Blumil Miłosz Krawczyk (ul. Giełdowa 4B/11, 01-211 Warszawa) may collect and use your email address, which you have provided in this form, for providing information and marketing material, in accordance with the Personal Data Protection Act 1997 (29th of August).